Meet talent whose values align with yours. 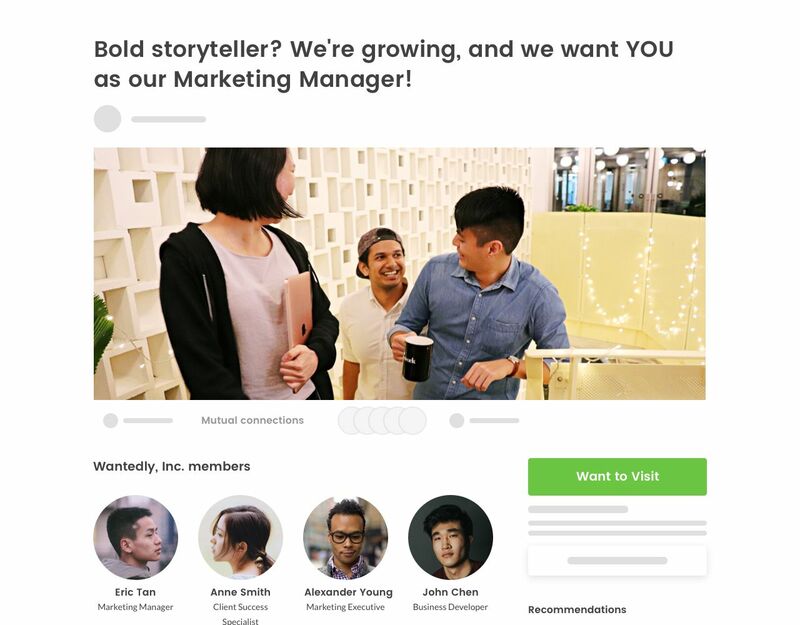 On Wantedly, you can share your company’s story and culture like never before. Attract the best talent for your team and amplify your employer branding through dynamic visuals, inspiring job posts, and engaging articles. Hire better and faster with relevant talent, who resonate with your company’s mission and culture. A flat monthly rate gives you access to Wantedly's suite of features. 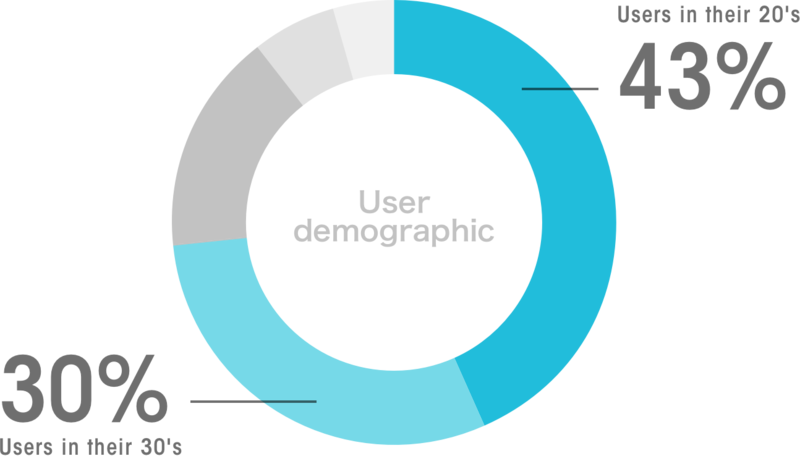 With Scout, 1 in 5 messages sent receives a response - above the industry average! Attract the right talent with your employer brand. that go beyond the surface. Dive into the what, why, and how behind your company. 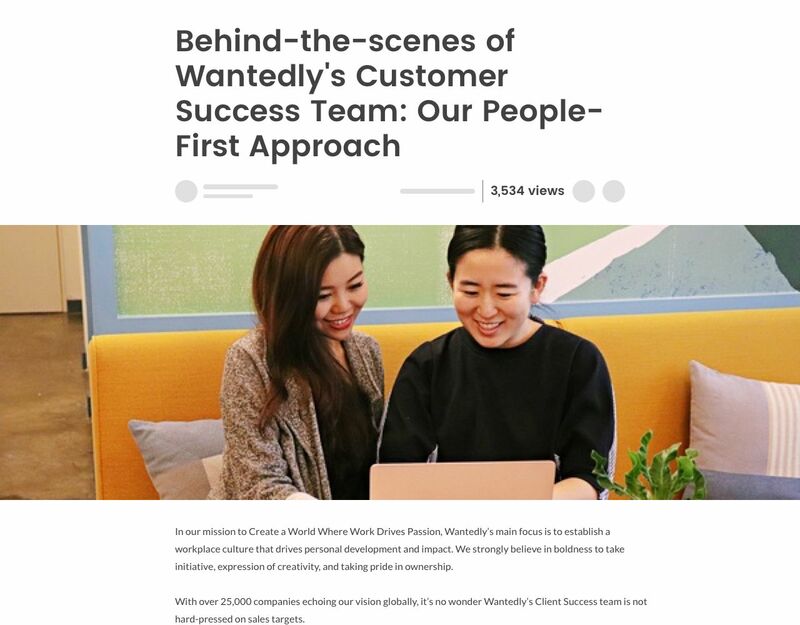 Share elements of your team’s culture, aspirations, and milestones to drive the right talent to your company’s page on Wantedly. gives an inside look into your team. From exciting updates and team highlights to thought-provoking editorials, Feed is your unique blog that helps you grow your employer branding across the market. connects you with the best talent. 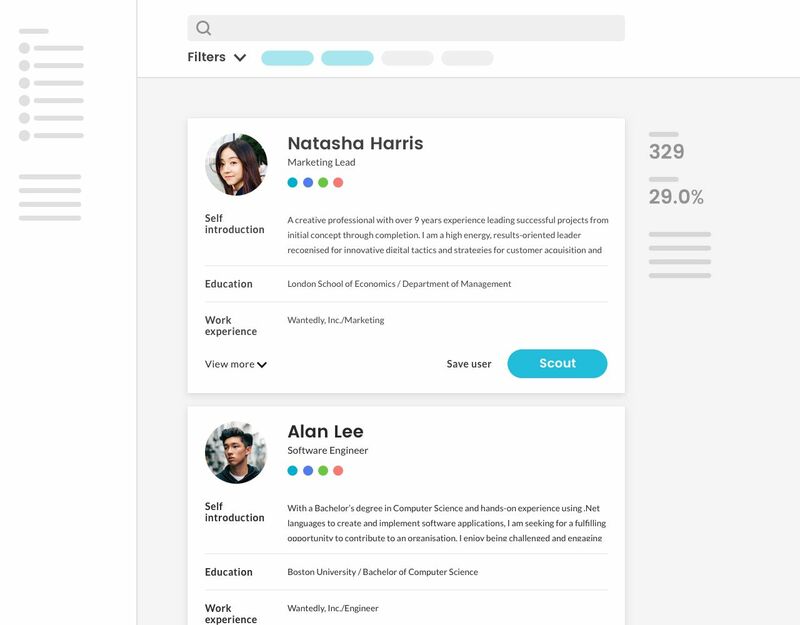 Get direct access to a vast network of driven talent and actively connect with your next great hire. supporting hirings in Japan, Singapore, Hong Kong, and Germany. Millions of purpose-driven talent make up Wantedly’s global league of users. Wantedly Users are highly motivated and actively seek new opportunities that match their personal values and goals. 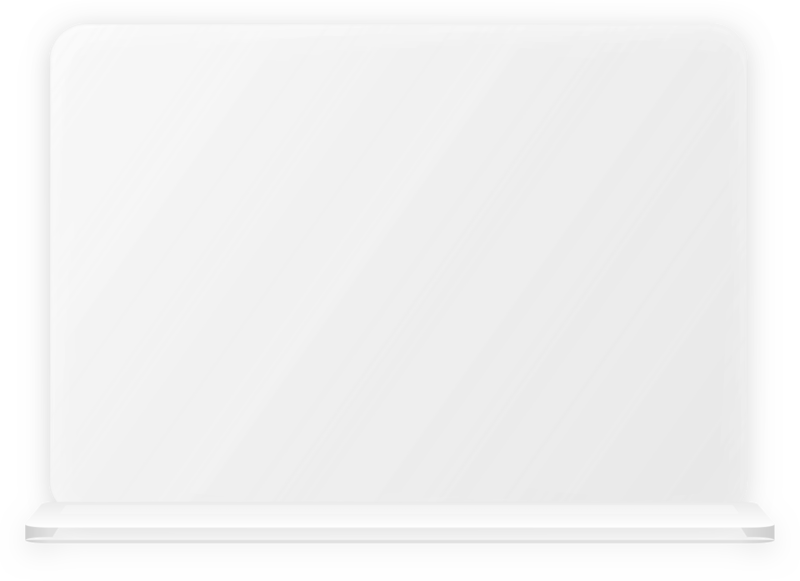 Based in Japan, Wantedly first launched in 2012. 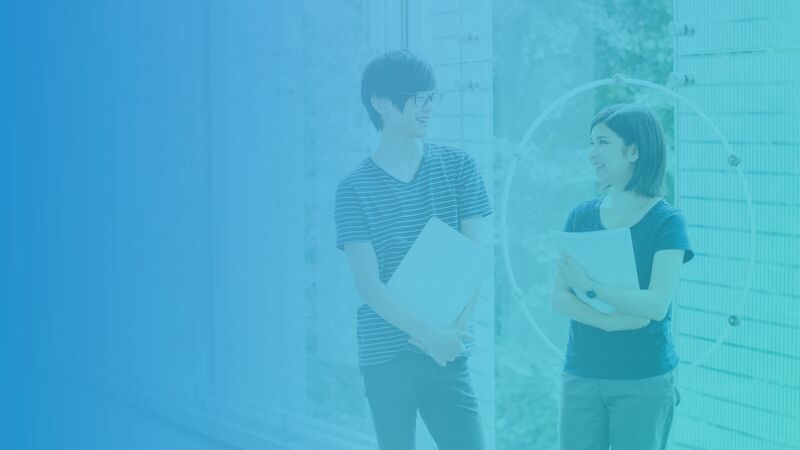 Since then, we have expanded into Singapore, Hong Kong, and Germany with over 30,000 registered companies finding success hiring with strong employer branding around the world.